New music this week includes Dog Is Blue with Tortoise, Girls in Trouble's Half You Half Me, Danger Mouse & Daniel Luppi with Rome, Weekend Nachos with Worthless, the self-titled effort from Bachelorette and The Elected with Bury Me in My Rings, just to name a few. Reissues include a treasure chest by Queen with the 40 Limited Edition Collector's Box Set, which contains the remastered editions of the band'sA Day at the Races Queen II, A Night at the Opera Queen II, Queen Queen II, Queen II, Sheer Heart Attack albums (all with bonus CDs) and a bunch of remastered albums from Nick Cave and the Bad Seeds (Let Love In, Murder Ballads, No More Shall We Part and The Boatman's Call). 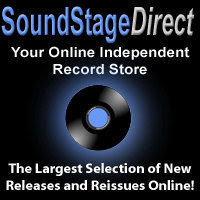 Vinyl reissues are plentiful this week with Black Sabbath's Master of Reality, two from Bob Dylan (Greatest Hits and John Wesley Harding), Crosby & Nash with Another Stoney Evening, several from Mickey Newbury (Better Days, Frisco Mabel Joy, Heaven Help The Child and Looks Like Rain), Humble Pie's Live at Winterland and the Hollies' Lost Recordings and Beat Rarities (10 LP set). Please support the CVR Blog by purchasing your vinyl at SoundStageDirect.com, in fact, if you add the code CVR at checkout, you get 5% off! Gold-Bears - Are You Falling In Love? Miracle Fortress - Was I The Wave? A successful debut album can be both a blessing and a curse for a band. With the achievement comes high expectations, not only to maintain the standard, but also to put out an even better follow-up. Many bands have fallen under the pressure and suffered from the second-album slump. For Fleet Foxes, the weight of expectation was even greater because their 2008 self-titled album was such an unexpected and phenomenal success _ a tough act to follow. ''It was at times difficult to make this record,'' Fleet Foxes' frontman Robin Pecknold admits in the press release about the making of Helplessness Blues. In following up their critically adored, platinum-selling Fleet Foxes, the Seattle-based sextet have gone though a long and painstaking creative process, plagued with writer's block, second-guessing, illness, tour exhaustion _ neatly summed up by Pecknold as a ''tonne of sh**''. Multiple songs were rewritten and re-recorded. The album was mixed twice because they weren't happy with the sound. 1. FOX FUNDAMENTALS Let's start with a bit of background. Fleet Foxes were started by high school friends Robin Pecknold and Skye Skjelset, who were later joined by Josh Tillman, Casey Wescott, Christian Wargo and Morgan Henderson. Originally they were called Pineapple, but after a name clash with a local band they opted for Fleet Foxes. The reason behind the name? Pecknold simply thought it brought to mind ''some weird English activity like fox hunting''. 2. SMELLS LIKE INDIE SPIRIT For their latest album, Fleet Foxes worked at many studios in different locations from Seattle to New York. But in the early stages of recording, they rented space in a building in Seattle, taking over the lease from indie rock band Death Cab for Cutie. The place has been a studio since the 1970s and it was where Nirvana recorded their debut album, Bleach. 3. ANIMAL URGES Pecknold seems to have a thing for animals and folk music. When he is not fronting Fleet Foxes, he goes under the moniker White Antelope for his solo project. Actually, ''hobby'' seems a more fitting word to describe White Antelope than ''solo project''. The 25-year-old artist simply covers any folk songs he feels like and posts them on his MySpace page, all for his own personal enjoyment. Pecknold isn't interested in releasing a solo album whatsoever. 4. ACE OF BASS Henderson was the bassist of post-punk band Past Lives, and formerly of Blood Brothers. He befriended Pecknold as they worked on a 15-minute pretend film score together during a Fleet Foxes' break _ Pecknold's way to keep his creativity flowing. Henderson helped out on the making of Helplessness Blues and officially become a member of the band earlier this year. 5. FIRST IMPRESSIONS Cover art has always been an important to complement Fleet Foxes' music. The cover of their first album, featuring Pieter Bruegel's 1559 painting Netherlandish Proverbs, won the Best Art Vinyl Award 2008. The cover of Helplessness Blues evokes the same homespun nostalgia. A collage of memories, landscapes and dreams, the cover is illustrated by Seattle artist Toby Liebowitz and painted by Christopher Alderson. Van Dyke Parks has always been a bit eclectic for the general public and he is carrying that image through in his first release of new material in 15 years. Starting in August, Parks will start issuing a series of vinyl 7" records with new songs but that won't be the only draw. He has brought in artists like Art Spiegelman, Frank Holmes, Charles Ray, Billy Ed Wheeler, Sally Parks and Ed Ruscha to do special pieces that will be printed on the vinyl of the releases and Parks feels that the art is as important as the music. As an unknown American musician Brian Burton spent years pulling pints in London and soaking up the atmosphere of seedy New Cross. But in the past few years as Danger Mouse has enjoyed more adventures than his 80s comic alter ego, producing artists such as Gorillaz, Beck and U2, and scoring a worldwide number one in 2006 with Crazy as half of Gnarls Barkley with Cee Lo Green. Burton is known for being a speedy worker, but his new album, Rome, took five years of painstaking effort to complete. Recorded in the Eternal City as a self-financed labour of love, Rome reunites musicians who appeared on the much-loved soundtracks of the 60s and 70s Spaghetti Westerns. Legendary Canadian record producer Jack Richardson passed away on Friday after a long illness at the age of 81. Richardson broke into the record business in 1968 when he approached the Coca-Cola company to produce an album that could be obtained by turning in bottle caps. On one side was the Guess Who while the other had a group known as the Staccatos (later the Five Man Electrical Band). 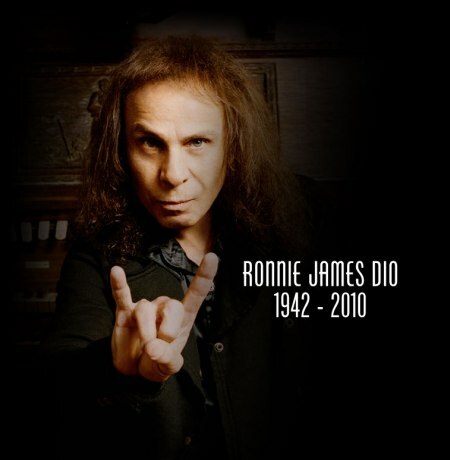 Legendary heavy metal vocalist Ronnie James Dio, best known for his work with BLACK SABBATH, RAINBOW and his own band DIO, died of stomach cancer one year ago on Monday (May 16) at the age of 67. A three-minute Artisan News Service report in which Dio's BLACK SABBATH and HEAVEN & HELL bandmate Geezer Butler, Ronnie's cousin David "Rock" Feinstein (both played in ELF) and wife/manager Wendy remember the heavy metal legend can be viewed below. Butler said that Dio was so special "because he had an incredible voice; he was blessed with it. And he loved his fans. He'd talk to his fans after every show until there was nobody left. He was so genuine." THE BLACKBIRD DIARIES, the new solo album by EURYTHMICS co-founder DAVE STEWART is scheduled for release on June 28, 2011. The new record features duets with STEVIE NICKS, COLBIE CAILLAT, and MARTINA McBRIDE, along with one-track co-written by BOB DYLAN. "This was my favorite time ever in the studio. I wrote most of the songs on the spot and recorded all of them in one incredible session lasting 5 days and nights!" Dave remarks. "I made an unusual film of the process that not only features all the musicians and performers but also gives away some of my writing secrets which involves both a well known fortune teller and hypnotist who allowed themselves to be filmed in session with me." In 1964, 21 year-old Mary Wells led the Billboard Pop chart with the Smokey Robinson written "My Guy". The record was Wells' 9th Top 40 entry and would prove to be her highest charting US single. In 1965, the Beach Boys appeared on the "The Ed Sullivan Show" and performed "Help Me Rhonda." 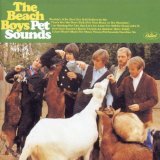 The Beach Boys album "Pet Sounds" was released in 1966. In 1967, the Monkees' third LP, "Headquarters" was released. It was their first LP recorded primarily by the four members of the group and would reach #1 in the US for one week before being relegated to second place for eleven consecutive weeks by "Sgt. Pepper's Lonely Hearts Club Band". Tony Joe White recorded "Polk Salad Annie" in 1968. In 1969, Pete Townshend of The Who spent a night in jail in New York City after being charged with assault. The group was performing at the Fillmore East when a fire broke out at a supermarket next door. A plainclothes policeman leapt onto the stage to warn the crowd and Townshend, thinking the cop was a member of the audience, booted him off. Randy Bachman left the Guess Who in 1970. In 1983, the television special "Motown 25: Yesterday, Today and Forever" aired. It was a taping of the first time that Michael Jackson performed the moonwalk for a live audience. In 1985, a royalty cheque totaling $6.5 million from the sales of "We Are The World" is handed over to the USA for Africa Foundation by Columbia Records executive Al Teller. The total raised would eventually rise to over $50 million. freaking cool! In 1990, Sammy Davis Jr. died of throat cancer at the age of 64. Davis was a member of The Rat Pack, along with Dean Martin, Frank Sinatra, Peter Lawford and Joey Bishop and had several US Top 40 hits including "Something's Gotta Give", "Love Me or Leave Me", "That Old Black Magic", "The Candy Man" and his signature tune, "I've Gotta Be Me". Also in 1990, Jim Henson, the Muppets creator who scored two US Top 30 hits with "Rubber Duckie" in 1970 and "Rainbow Connection" in 1979, died of Streptococcal Toxic Shock Syndrome at the age of 53. The Britney Spears album "Oops!..I Did It Again" was released in 2000. In 2010, Ronnie James Dio, the powerful voice for Elf, Rainbow, Black Sabbath, Dio and Heaven & Hell, lost his battle with stomach cancer at the age of 67. Several rare jazz/funk records make the list this week, with Brazil's Arthur Verocai's self-titled record getting the #1 spot. 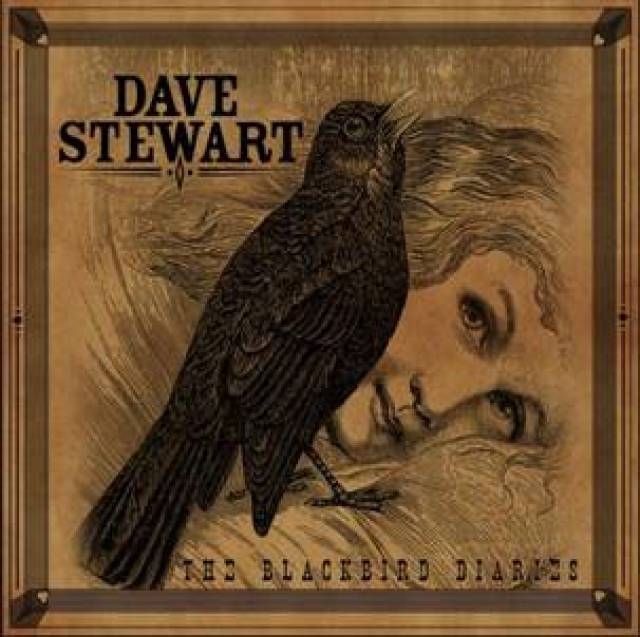 A blues 78 makes the list, the first time for "Black Birds Of Paradise" record. And the test pressing for Sprinsteen's "Born To Run" which used a different script in the title than the released version makes the Top 5 for the second time, the first being in 2008.